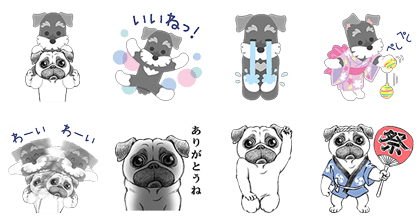 http://www.line-stickers.com/ – Tuna of Schnauzer and Melancholy Pug Line Sticker | An exclusive event collaboration between Tuna of Schnauzer and Melancholy Pug. 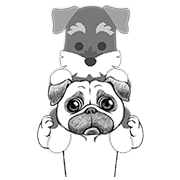 Get two completely different characters in one sticker set! Available till July 10, 2016. Copyright : Lommy All Rights Reserved. Brown Farm & Snoopy Tie-Up!